We are often the source of our own suffering and stress. We want to blame others or be victims to situations, but the truth is a lot of our stress is caused by what goes on inside our heads. Have you ever noticed that in times of uncertainty, doubt, change or shift or when you feel the signs of stress and pressure, instead of surrendering it up to the divine, allowing things to unfold, or asking yourself “How can I get myself back into the Flow?”and focusing your energy there, you Fight, Flail, try to Figure it out and Feel bad? I don’t know about you but choosing the FLOW over FIGHTING, FLAILING, FIGURING IT OUT and FEELING BAD sure feels better. So much of the time, instead of focusing our energy on getting into the flow, we dig our heels in and fight… grip our fists and try to control the ship… play mental gymnastics and flail around in our head to try and find some solution that will ease our internal fear and judgements. We see everything that is wrong, could go wrong, we protect our positions, blame others, and spend copious amounts of energy talking about, thinking about and trying to figure whatever situation or relationship has us triggered. Oh, if we could just surrender the fight, and release the grip! If we spent our energy focused on getting into the flow instead of fighting our way up the river we’d be so much happier, have more energy and in the end I believe get more of what we want. But we humans are stubborn. 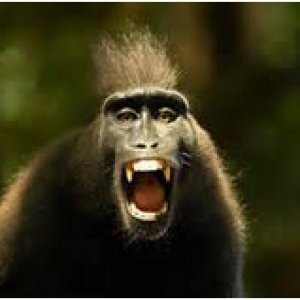 When I had that ephiphany about my own tendencies to fight, flail, control and make myself feel like crap about myself or my situation, I happened to be sitting one night on a balcony in the middle of the Costa Rican jungle listening to the howler monkeys screech all around me. 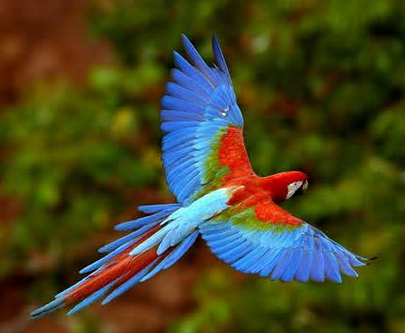 While at the same time noticing as I looked above me, beautiful, graceful, powerful full rainbow colored Macaw parrots fly freely through the sky and it was so evident how these beings were reflecting different pieces inside of me, and all of us. 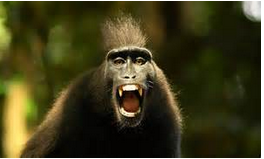 Just like the screecher monkeys, we screech in suffering, fighting against situations and people, flailing to find our way and beating ourselves up all along the way. When what we really desire is freedom… we’ve just forgotten that we are the only one who can free ourselves. We are the source of so much of our own stress because of what we make things mean and because we are unwilling to accept what is, and as a result we steal our freedom and our joy. When you stop the fighting. Stop the flailing and trying to figure it out. Stop the feeling bad about yourself or the situation. You can accept what is and the path opens up to show you how to move into the flow. Where you breathe, relax and respond to all that is wanting to make it’s way to you… it just can’t get it when you are fighting and flailing! I made this divine spark video for you and your heart (all this fighting it hard on the heart emotionally and spiritually and physically!) and your soul (who just wants to be free!). It’s like a super power stress relief meditation. It will lead you through a short but mighty process to help you release the tension and stress that all this fighting, flailing and feeling bad can cause. And then give yourself permission to let go and ALLOW so you can find your way to the flow. 1. Accept what is … like really truly see it and embrace the current dealio (instead of fighting your way to a different scenario or judging yourself because it’s not different). 2. Accept what inside of you is afraid or hurt… really get honest about why you are fighting, what fear or past hurt has you flailing and feeling like you have to control, and then love that part of you. 3. Surrender to a bigger power … this situation is too big for you to handle on your own, so surrendering it through prayer to the bigger power and highest good, while staying connected to listen and respond. 4. ALLOW the flow to find you, Stay engaged until you find the flow… stay in contact with the Divine and yourself as if the Divine is the water and you are on a raft, with the Divine carrying you to where you need to go and be, you surrendered to the mystery but you aren’t asleep and haven’t left the ship. Enjoy this stress relief meditation and video from my heart to yours! 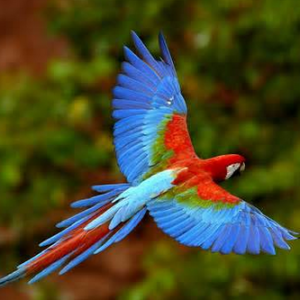 Think about your life… How do you want to live, like a screecher monkey fighting and flailing or a macaw parrot flowing with the divine leading the way? If you’d like some help getting that screecher monkey in your mind to settle down, check out the book Reform Your Inner Mean Girl: 7 Steps to Stop Bullying Yourself and Start Loving Yourself … it’s a 7-step program to transform your inner critic (aka the screecher monkey), super fun and powerful!